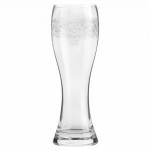 Lucca Wheat Beer Set of 6 (P/N 17069). 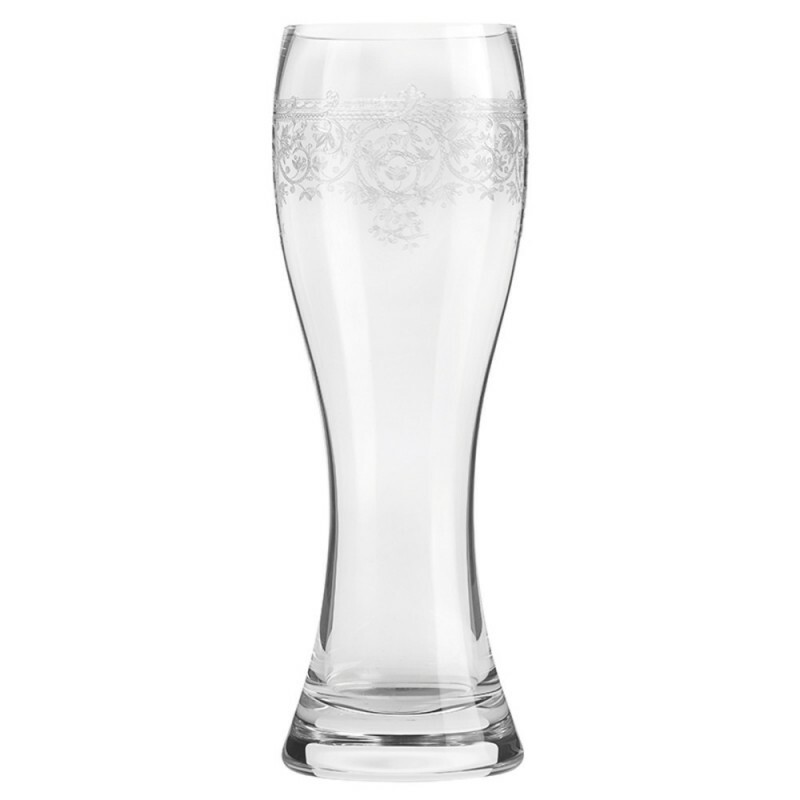 These stunning wheat beer glasses are hand-made and feature a delicately-etched scroll motif for an elegant and beautiful finish sure to impress. 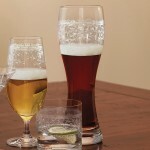 Mouth-blown from lead-free crystal, each glass measures approximately 10 inches high, holding approximately 25 oz. 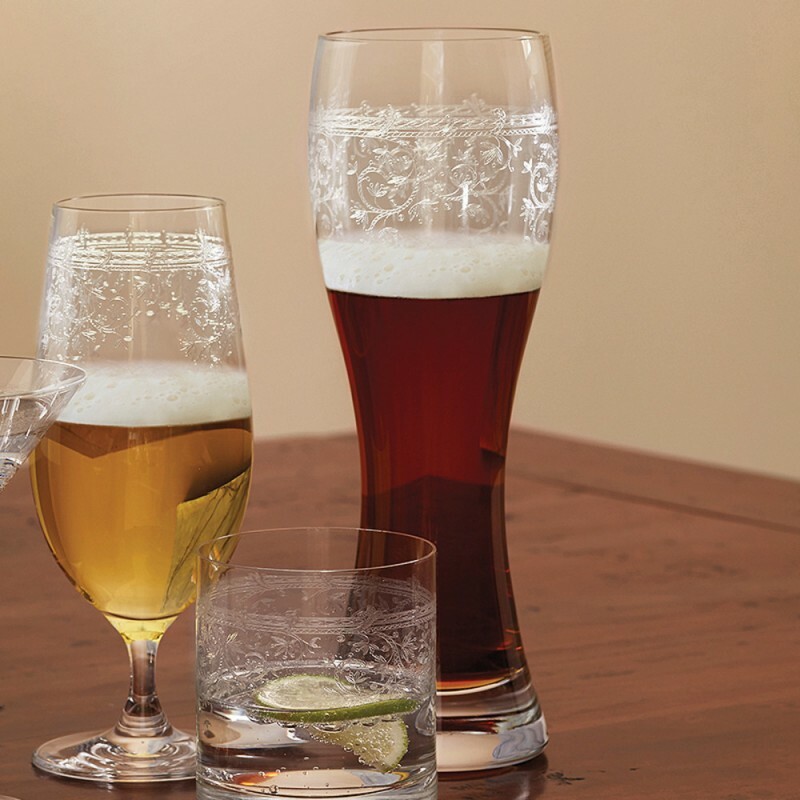 Additional glasses are available in matching Whisky, Martini, Pilsner, Bordeaux, Burgundy, Champagne, and White Wine sizes.